This can be found in the top right corner of the page. 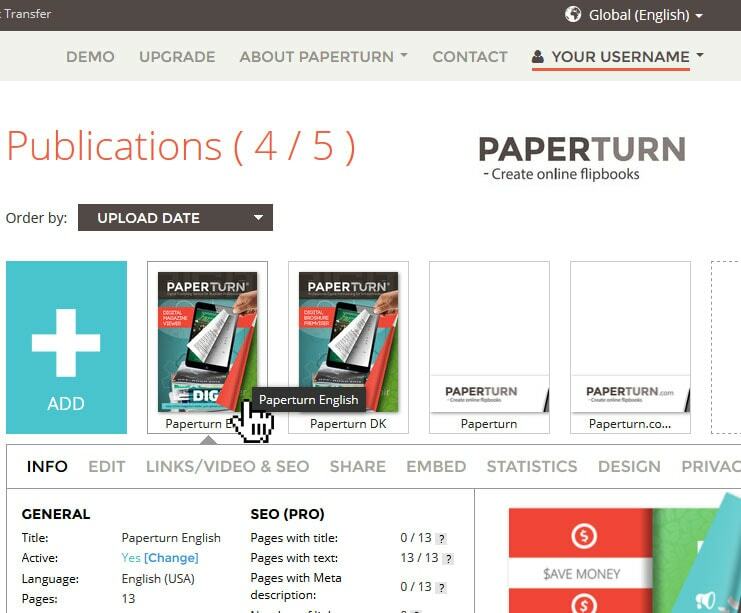 Here you can manage your account details and the general settings for your PDF flipbooks. 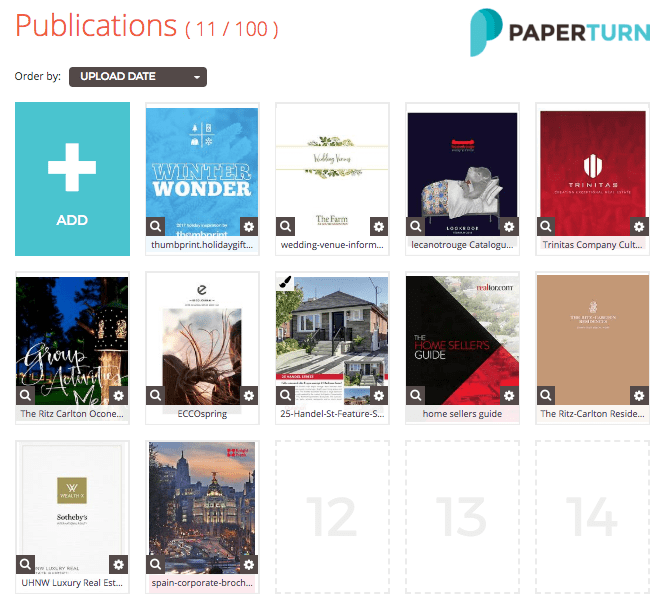 Click on one of your slots containing a PDF flipbook to see its settings.